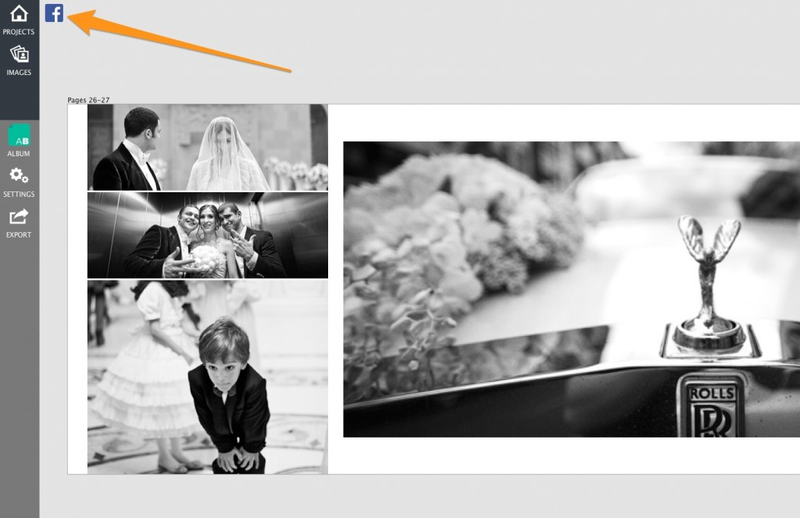 *Please note that more than 20 collages within a sub-project can cause the software to crash on export due to memory limitations. 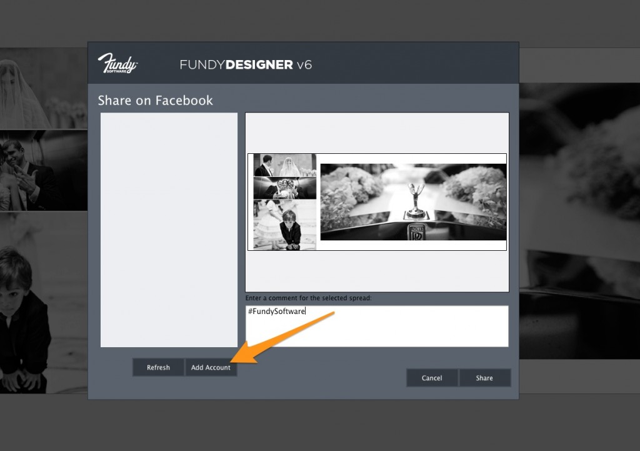 After reading the instructions, click "OK" to grant Fundy Designer permission to post to your Facebook accounts. 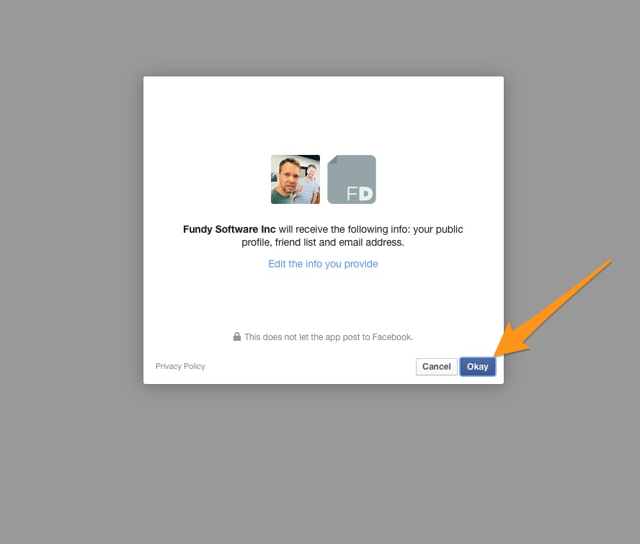 If you cancel, you'll need to delete the permissions in your Facebook account and start this process over again. 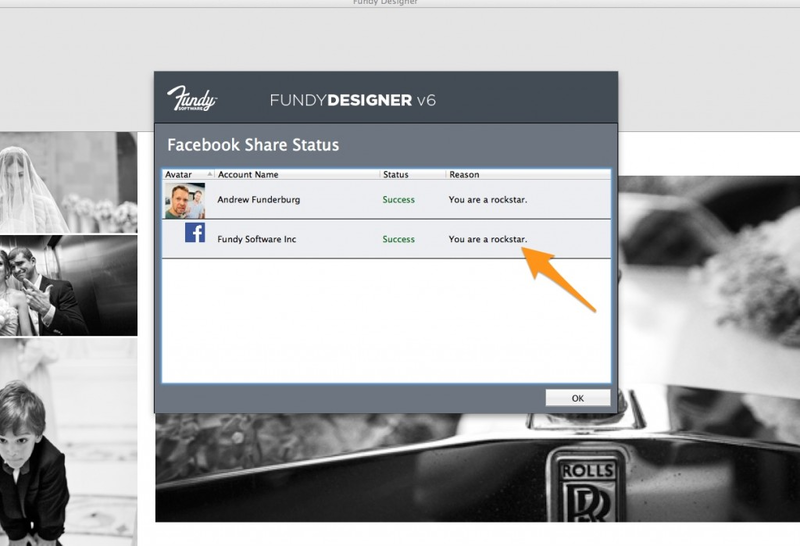 When you cancel the permission process, you are basically telling Facebook to NOT grant our software permission to post to your accounts. 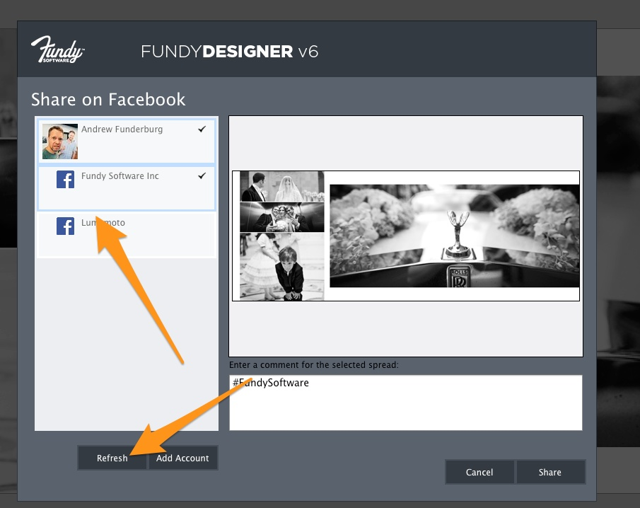 Add the Fundy Software app (by clicking "Okay"). 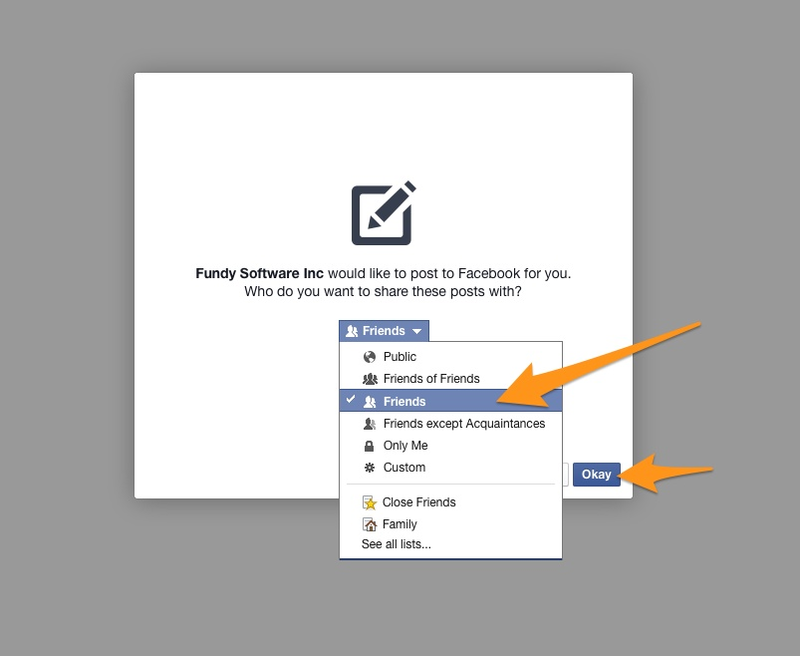 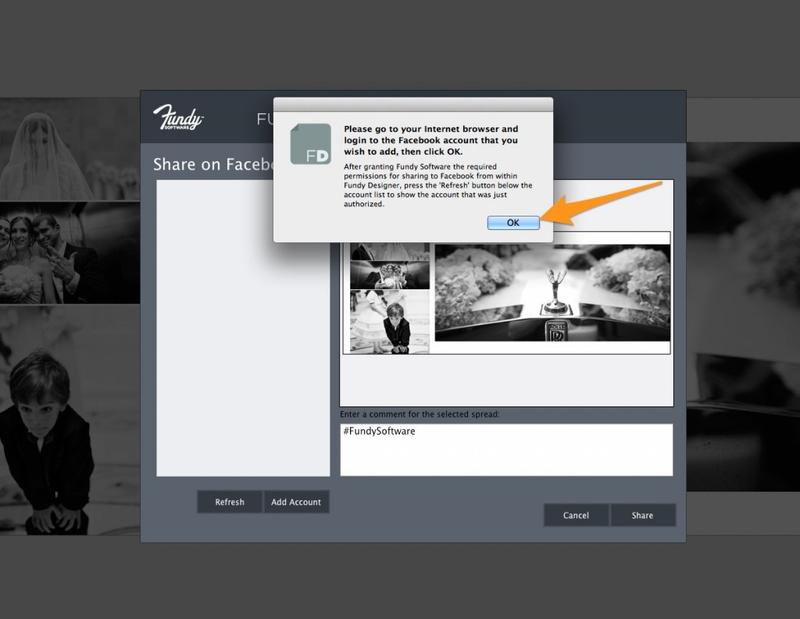 Choose where you want to post it (Fundy recommends Friends or Friends of Friends). Click "Okay"
Click "Refresh" to see your accounts. Choose the account(s) you want to post to, type in your comment, and share! 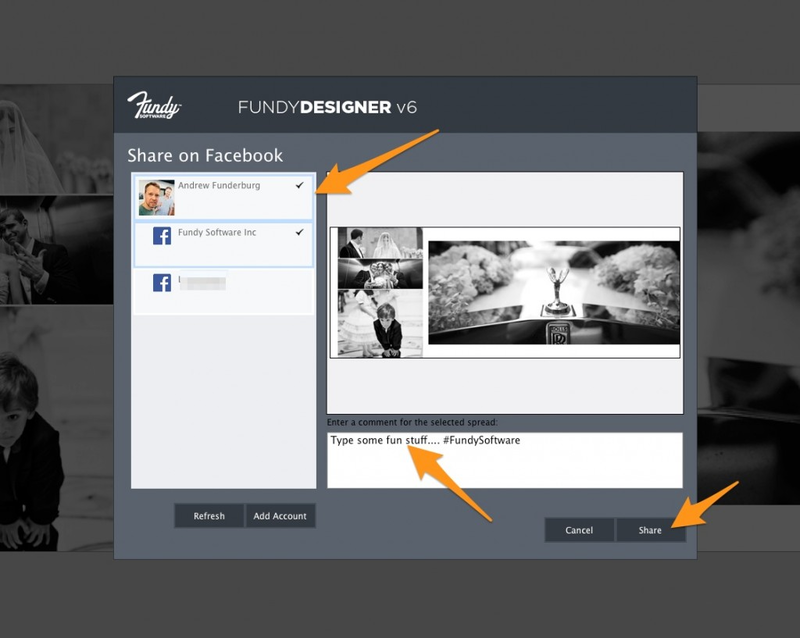 After the post goes live, you will see a Success page. You can watch a video of the process here.